​The success of The Avsource Group has been built upon listening to our customers and carrying out their requests. Our desire is that every customer relationship be a positive experience. Our ethical commitment to quality, integrity and stewardship is paramount in all our dealings. Let us show you how we can streamline your aircraft projects. Give us a call for direct information for customized solutions. See below our current and recently completed projects. ​Rounding out our full-service project completion model, we recently completed on site management for two full bridging checks on (2) 737-400 aircraft in San Antonio, Texas. In Tel Aviv, Israel; Gary Loyd (our Chief DAR) completed an Aging Aircraft Inspection for a 767 as well as a Standard Cert of Airworthiness. ​Latin America’s largest airline group continues to rely in our services as we continually provide solutions to their requests. In addition to aircraft transitions we have now expanded our services to include support for Engineering and Maintenance planning programs. 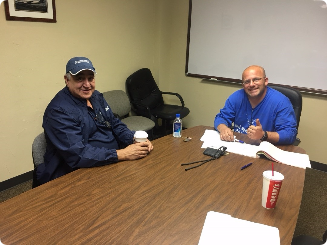 Our Maintenance Planning team has been very successful with this program, the specialized team of eight (8) associates has been working 24/7 to foresee and reduce the number of deferred items. This has significantly increased the customer's operational numbers. 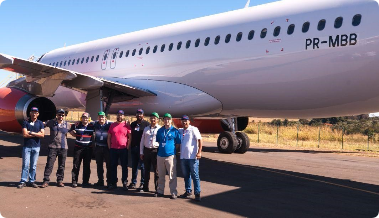 Several additional aircraft were successfully redelivered thanks to our support to Latam Brasil’s technical team. In the meantime, our team continues to provide mid-lease inspections and technical support to several Aircraft lessors.